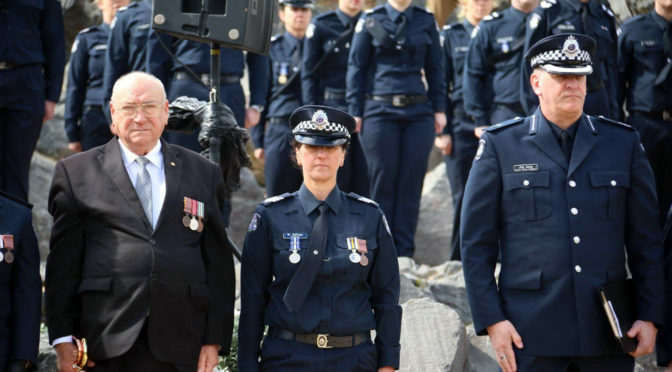 Victoria Police Sergeant Marina Gyfteas is one of the most respected police officers in Melbourne’s north and while she has had many achievements over the years, she dislikes the fuss around the recognition, shrugging it off with ‘it’s what I’m paid to do, no big deal’. However, her friends and colleagues say that the award was thoroughly deserved and long overdue. 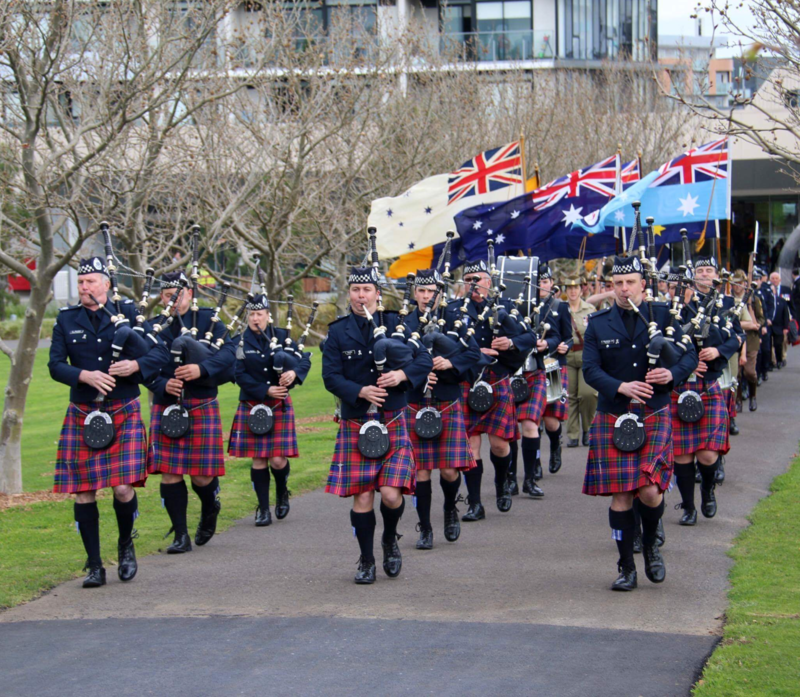 Sergeant Marina Gyfteas, a veteran officer of 29 years and a mother of two, was awarded the prestigious prize at a ceremony held last Tuesday at All Nations War Memorial in Northcote. The award was presented by Ex-Prisoners of War and Relatives Association and by Inspector Kelly Lawson. 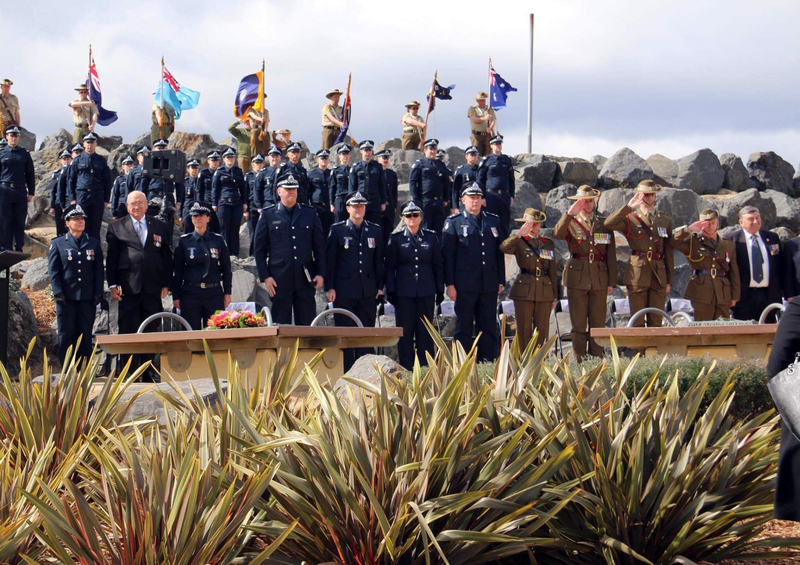 Also present were her colleagues and family, current ADF personnel and veterans. 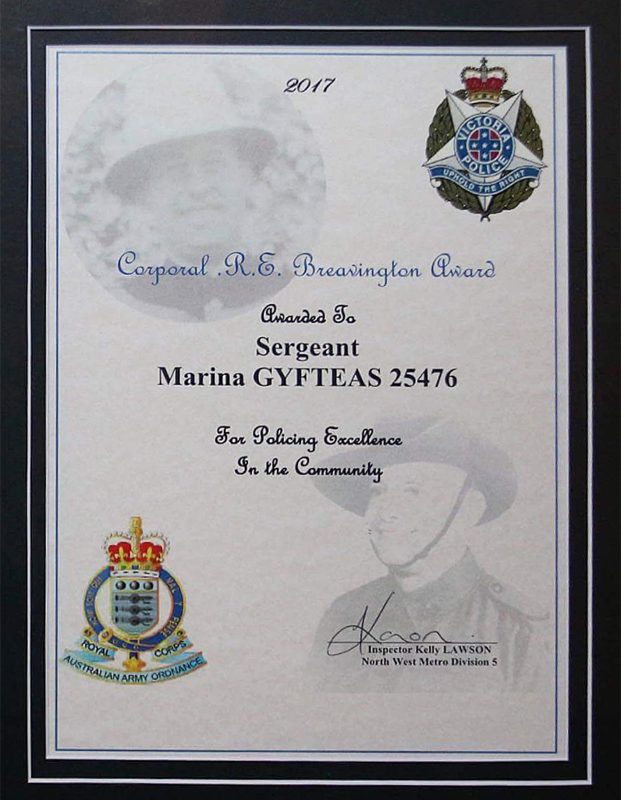 A second-generation police officer, Marina Gyfteas graduated from the police academy in 1986 and in her own words “(…) worked hard, showed respect and got on with it”. Sergeant Gyfteas is described as an excellent leader, one that would never ask her troops to do anything she would not. Working in a male-dominated profession (again, no fuss), she is a quiet and humble achiever with ferocious resolve to protect and serve, and a cool and composed leader when faced with enormous pressure. We thank Sergeant Marina Gyfteas for her service and sacrifice, outstanding achievements and her dedication to the community and protection of its vulnerable members. We also thank her friends, family, and colleagues for their service and support. 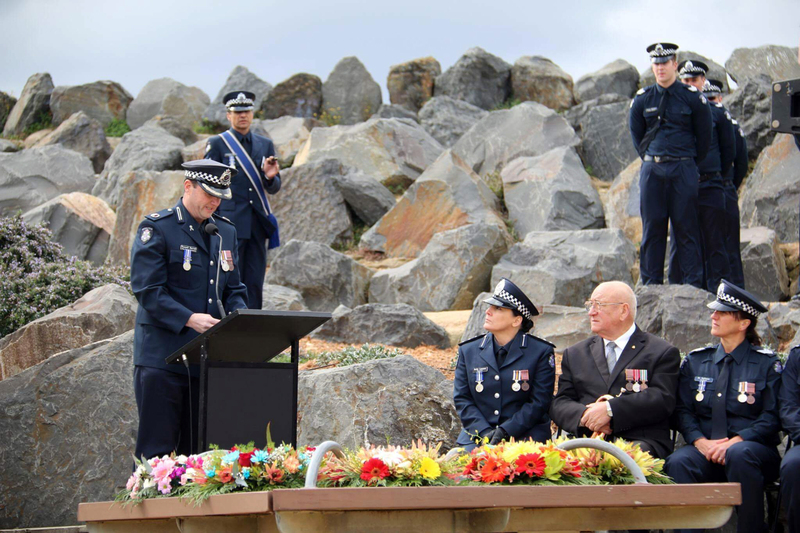 The award for policing excellence is presented annually in memory of former Northcote police officer and Prisoner of War Corporal Rodney Breavington. Breavington Award is voted on by peers to a member who exemplifies Breavington’s courage, loyalty, and self-sacrifice. Previous award recipients include Sergeant Brian Kilmartin, Senior Constable Michelle Belaj and many others recognised for their dedication and service to the community. Rodney Edward Breavington was born in Southend, England. 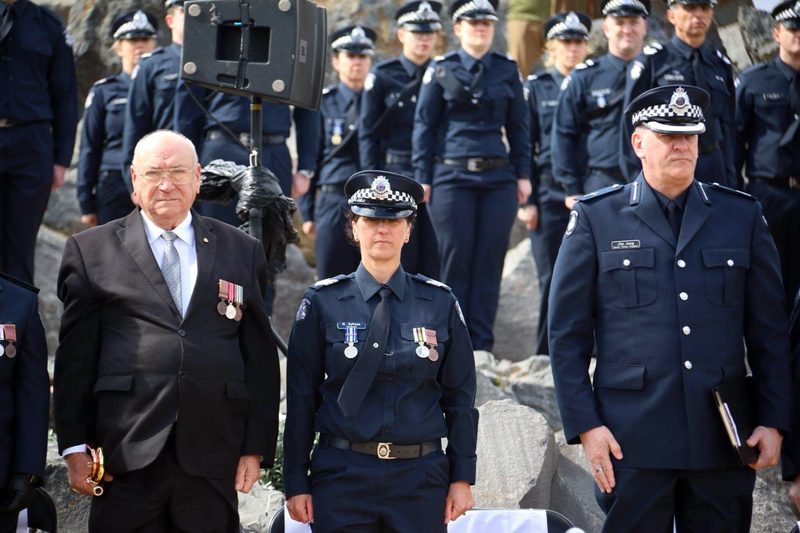 He was an Acting Senior Constable (equivalent to sergeant today) at the Northcote police station where he served for 13 years and was twice commended for his work performance. At the age of 38, Breavington enlisted in the 2nd Australian Imperial Force in 1941 and joined the Australian Army Ordnance Corps where he was sent with the 8th Division to fight the Japanese. In late January 1942, he landed in Singapore – barely three weeks before the surrender to the Japanese. After surrender and capture by the Japanese, Corporal Rodney Breavington and Private Victor Lawrence Gale, a 23-year-old fitter and turner from Balwyn in New South Wales, escaped the POW camp in May 1942 by stealing a fishing boat and attempting to sail to Ceylon (now Sri Lanka). After a treacherous voyage of nearly 2000 kilometres, and near their destination, they were recaptured by a Japanese warship and returned to Changi in July. Desperately ill, and barely able to walk, Breavington was confined to Hospital. After their recapture and the recapture of two British prisoners, the Selarang Barracks POWs (which numbered around 15000) refused to sign a pledge not to escape as this was against what the men saw as their duty. They were all forced to crowd in the areas around the barracks square for nearly five days with little water and no sanitation in what became known as the Selarang Barracks Square incident. During this standoff, on 2 September 1942, Breavington (still in hospital pyjamas), Gale and two British prisoners were forced to walk from Changi to a beach. He and three other prisoners were forced to dig their own graves before facing a firing squad. Breavington pleaded with his executioners for the life of Gale, saying that he had ordered him to escape. Breavington then pleaded to shoot him and free the other men but his captors ignored his pleas again. After cigarettes, prayers, refusing a blindfold and holding a picture of his darling wife, Breavington and the others were shot multiple times. They were intentionally wounded and tortured by dozens of bullets to prolong their agony. Lieutenant Colonel Fredrick ‘Black Jack’ Galleghan who witnessed the executions said that Breavington was the bravest man he had ever seen. In the end, the executions failed to break the spirit of the other POWs but the commanders finally capitulated on 5 September when their men started to fall ill and die from dysentery. Breavington was posthumously recognised with Mention In Despatches and further recommendation was made to award him the Commendation for Gallantry. The Mention In Despatches was awarded by King George V for gallantry or valuable service: exceptional service rendered by officers and soldiers, whilst prisoner of war or interned; or exceptionally gallant conduct and/or determination displayed by officers and soldiers in escaping or attempting to escape captivity. The mention of the Corporal Breavington’s name in the report was published in the London Gazette and the Commonwealth Gazette in 1947 to inform the public of his bravery and merit. And how to meet one’s fate.